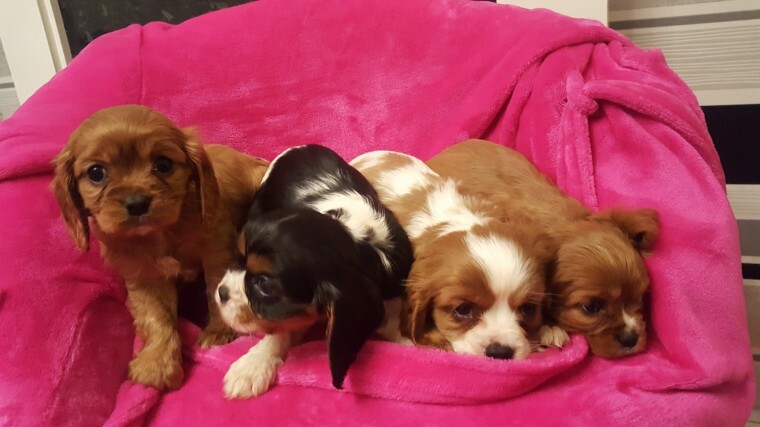 Cavalier king Charles spaniel puppies. 2 ruby girls 1 tri girl 1 Blenheim boy They have been vet checked, microchipped and have had 1st injection. They have been brought up in our family home and used to children Mum is our family pet Dad is kc registered Puppies will not be kc registered Selling to loving homes only They will leave with vet card, microchip card and blanket with mum's scent on. Ready for there new loving homes now.